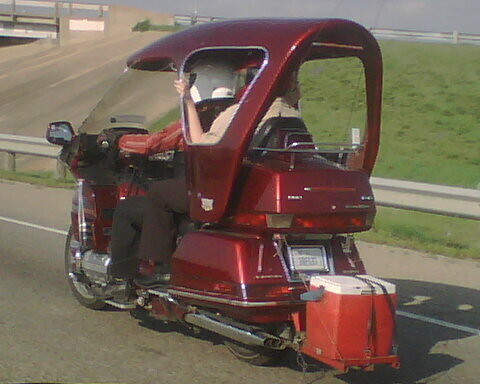 Motorcycle with a roof, originally uploaded by baratunde. I have thousands of pics in Flickr. This is the 8th most popular one. I took it while driving Northbound on I-35 in Texas from Austin to San Antonio.